ETP Expo & Seminars - Dont miss it!! Possibly the biggest turf show ever!! In just 6 weeks, The ETP seminars & expo will be in full swing in Holland. 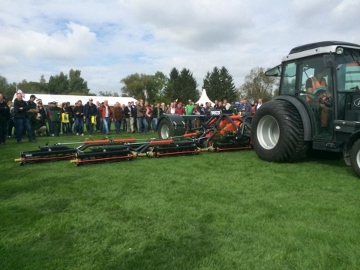 As customary by now for ETP at this time of the year, turf growers from all over Europe and the rest of the World will gather in the Dutch Limburg region for 2 days of learning, networking and evaluating machinery and products for sod farming. 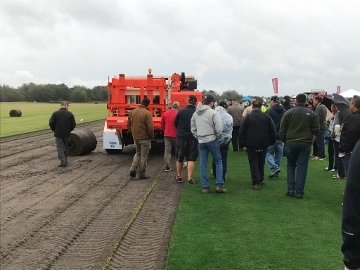 Machinery is expected to include several automatic turf harvesters, Big Roll turf equipment, lots of mowers including a 15 & 23 gang Vmow, 30ft wide progressive rotary mowers, Trilo 10m reel mowers, Classen rotary mowers & electric mowers from mowing solutions. 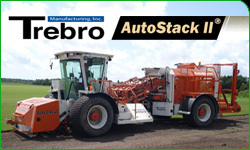 Huge grass collectors, Pallet wrappers, soil preparation, seeders and more. We have been tipped that there will be 3 or 4 new release items! The event will be held over 2 days, the 28th & 29th of September. The 1st day consists of seminars & networking and plenty of food. 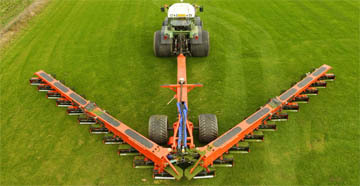 The second day will be the turf Expo at Direct Gazon in nearby Ysselesteyn. We will aim to give you more information in the coming weeks but for now, visit the ETP turfshow website for full details, schedule & registration.